 Every two years IPPL holds a conference for our supporters, and we bring in speakers working for primates around the world. In 2002, our meeting was held at IPPL Headquarters March from 22 to 24. 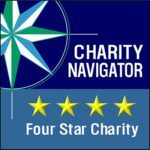 I thought you might like to know how a “tip-off” led to a long investigation that had worldwide ripples. The day before the meeting, one of the speakers, who had come here from Asia, said he had some interesting pictures to show me. He brought out his laptop and showed me shots of a woman animal dealer holding a gorilla and a chimpanzee and a Penang-based animal dealer’s business card. He told me that he had been having dinner with some Malaysian zoo officials and they were discussing the arrival of four baby gorillas at the Taiping Zoo, so he snapped the photos with his digital camera! 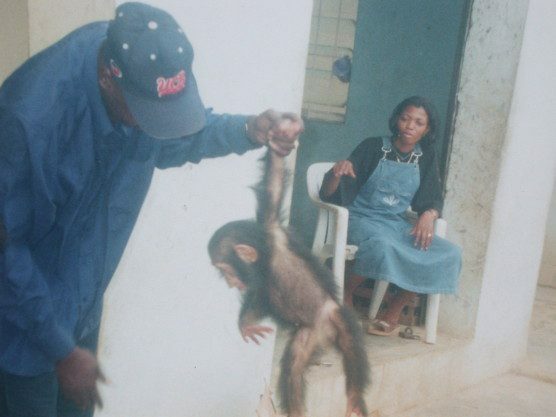 An illicit ape dealer shows off a baby chimp. Another dealer poses with a young gorilla. I went to work immediately. There had been no press coverage of the gorillas’ arrival and it was being kept secret. So I contacted Malaysia’s wildlife officials charged with enforcing CITES, the international treaty governing wildlife trade. Thank you for your e-mail on gorilla trading. The Department did issue import permits for the importation of gorillas for zoo purposes last year. In fact the gorillas are already in Taiping Zoo. We are taking steps to stop the importation of the other two gorillas. We are now very concerned by what have been disclosed by you about the source of the gorillas. We will investigate further and will take the necessary action against the importer. We will keep you posted about this case. Thank you for your interest and information. 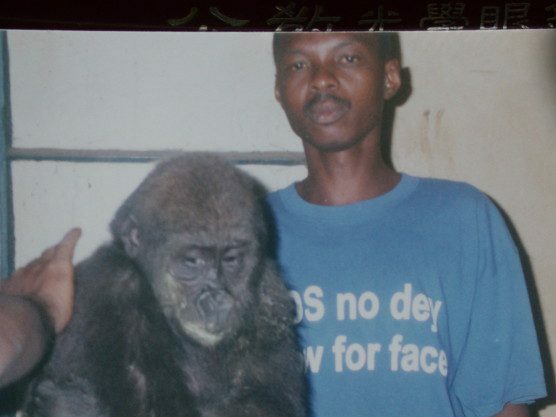 IPPL was able to procure information showing that the animals had been shipped on documents falsely stating that the gorillas had all been born at the University of Ibadan Zoo. An investigator went to the zoo and found that the only gorilla there was an elderly female. Her mate, named Haruna, had died long ago and was stuffed in the zoo’s museum! The gorillas could not have been “captive-born” and had probably been smuggled into Nigeria from neighboring Cameroon. We also learned that the animals had been shipped on South African Airways from Lagos to Johannesburg, and then on to Bangkok and Penang. IPPL did a postcard campaign, with Kevin Lazarus and the wildlife department of Malaysia and Nigeria as targets. We asked that the gorillas be returned to a sanctuary in Cameroon. We also got petitions signed at several conferences. We sent press releases worldwide and to the Nigerian and Malaysian press. I attended the 12th Conference of the Parties to the Endangered Species Convention, which was held in Santiago, Chile, in November 2002. I hoped to contact the Nigerian delegation. On my first day I met the head of the delegation, Minister of the Environment Dr. Imeh Okopido, a veterinarian. He was thrilled to meet me and said he had come over especially to look for me to get information on the famous gorilla shipment! I had bought loads of relevant documents. The Minister was so shocked that he called a press conference to denounce Malaysia! 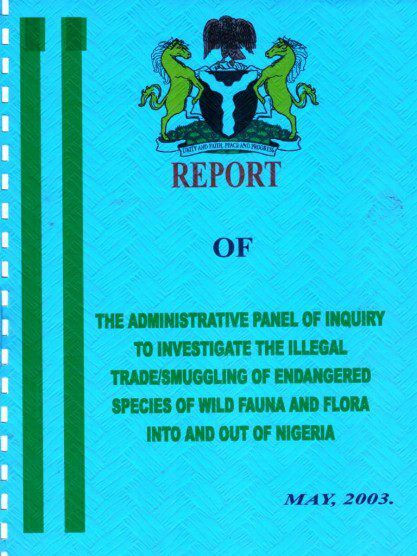 He circulated a document headed “Nigeria acts swiftly to end illegal trade in endangered species and rejects claims of ‘immaculate conception’ in gorilla saga.” It was a brilliant statement. The Malaysian delegation was furious. The senior Cameroon delegate affirmed Cameroon’s willingness to accept the gorillas for re-homing. 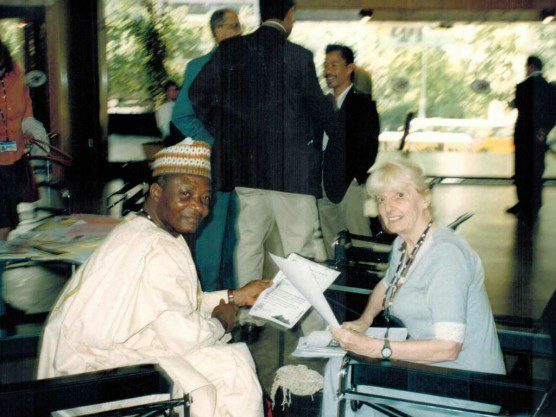 I met with Dr. Okopido at the CITES 2002 conference and told him all about the gorilla smuggling case. Before leaving for home, the Minister promised me he would assemble a Presidential Commission to investigate wildlife trafficking in Nigeria. He stuck to his promise, interrogated dozens of people, and a long report was produced. As a result, the director of Ibadan Zoo and several airport officials and wildlife officials lost their jobs. This report was the result of an investigation into the trafficking of the Taiping Four gorillas. 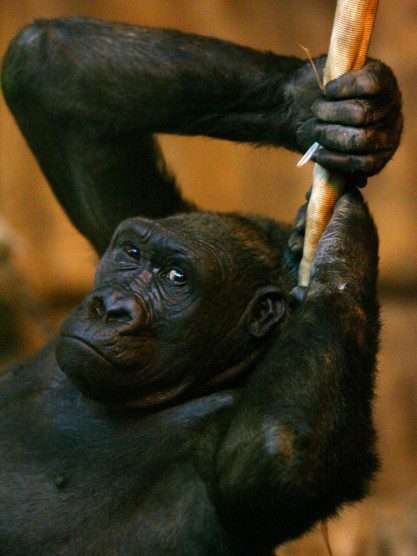 Eventually, the four gorillas were confiscated and moved to Pretoria Zoo in South Africa. Since the gorillas had been shipped through South Africa, pressure to send the animals to Limbe Wildlife Centre in Cameroon did not stop, and the gorillas made their return to the presumed land of their birth on November 30, 2007. One of the smuggled Taping Four gorillas, at their temporary home in Pretoria Zoo, South Africa, before they were eventually returned to Cameroon, the land of their birth. IPPL did almost all the fact-finding and publicity in this huge, successful battle. The result? No more gorillas have appeared in Malaysia, and Nigeria took firm action: the “Nigerian Gorilla Connection” is now dead. Just goes to show you what hard work and tenacity can do to protect primates from unethical zoo dealers.I only wish the USA had such reputable people as this representative from Nigeria. IPPL never disappoints!